With the scrapping of the Pacific Northwest LNG facility on Lelu Island, wild salmon on the Skeena can breathe a sigh of relief. Let’s celebrate the many factors which contributed to the demise of PNW LNG, the continued call for clean energy, and our collective desire for a healthier environment and more sustainable economy! Thank goodness for this great news, because it’s been a tough year in the Skeena. Low sockeye and chinook returns means less fish to eat and fewer fishing opportunities. But despite that, pink and coho are running strong, giving the Skeena a glimmer of hope. This dismal season drives home the importance of this incredible resource, and a critical moment in ensuring the protection of wild salmon. The winds of change are coming, but it’s going to take all of us to speak up for the place we love. There’s a lot going on in the Skeena and now is the best time to take action. Help Protect Fish Habitat Before it’s too Late! Right now, the Canadian government is looking for your input on how to improve The Fisheries Act – Canada’s oldest piece of environmental legislation. Changes made by the last federal government fail to ensure the long-term protection of wild salmon. Healthy fish and the rivers and lakes that sustain them are critical to our economy and diverse cultures. Without healthy habitat, fish can't survive. 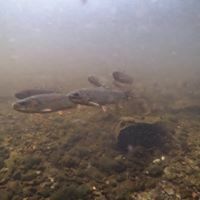 Let the government know you want better protections for fish and fish habitat by writing your MP through this simple portal. Read the governments discussion paper and respond here. Deadline is August 28th. Take action now! Update on Lelu Island and Court Challenge. On July 25th, Petronas, the Malaysian state-owned oil and gas conglomerate, announced it would not be moving ahead with its proposed Pacific Northwest LNG facility on Lelu Island. This is a huge win for wild salmon and our climate. Not only would the facility have been built on one of the most productive salmon habitats in the world, it would have also been the single largest climate polluter in Canadian history. Despite Petronas walking away, their environmental permits are still active. That’s why SkeenaWild is continuing its legal battle. We want to ensure Petronas doesn’t sell their permits to another company willing to build on Lelu Island. 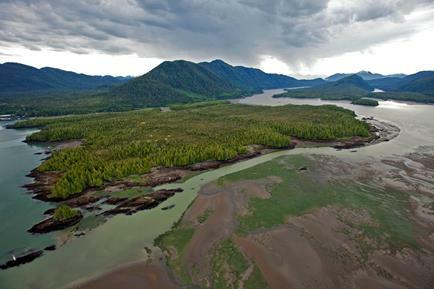 This will help us get one step closer to solidifying the protection of the Skeena Estuary. We’d also like to applaud our friend Mike Sawyer, following his court victory over the Prince Rupert Gas Transmission project, which would have transported fracked gas to the PNW LNG facility. Mike challenged a jurisdictional ruling by the National Energy Board forcing the NEB to revisit their decision. However, a week later Petronas cancelled the project and the plans for the pipeline were also dropped for the foreseeable future. Thank you to everyone who stood up for the Skeena and wild salmon. This is truly a well-deserved victory! Environmental Assessment Resumes on Aurora LNG. The Canadian Environmental Assessment Agency resumed their review of Aurora LNG on Digby Island, near Prince Rupert. The review was put on hold following submissions from 1168 citizens to the BC Environmental Assessment Office. Many people expressed concerns about the impacts the project would have on Prince Rupert’s air quality, the ocean environment, and community safety. SkeenaWild submitted comments and hired two experts to review the project, its potential impacts, and issues with the companies impact assessment modeling. 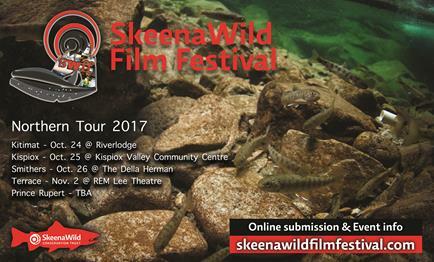 The SkeenaWild Film Fest is coming to a community near you! We’ll be accepting film and photo submissions until Oct. 2nd. Submit here! We also have the dates scheduled for the Northern Tour. Stay tuned for more info in the coming weeks. 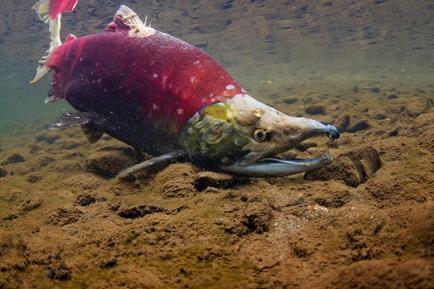 sockeye and chinook returns are way down this year across the province, but other species like pink are running strong. Watershed Watch Salmon Society did a great job of summing up the situation. Read the full report to learn how salmon across the province are faring this season. Pacific Ocean temperatures in 2015 were much warmer than average, attracting competitors and predators from southern waters, and reducing the quantity and quality of prey for salmon. Making matters worse, BC’s wild salmon are being forced to share their diminished food supply with a record number of salmon being released from hatcheries in Alaska, Russia, and Japan. Hereditary Chiefs at the United Nations. 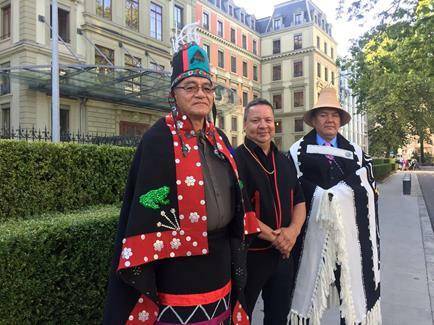 Following last years visit to the UN Permanent Forum on the Rights of Indigenous Peoples in New York City, a delegation of Hereditary Chiefs from Northwest BC traveled to Geneva, Switzerland to give an update to the UN Committee on Ending Racial Discrimination in August. The chiefs gave witness testimony regarding the Canadian governments’ continued neglect of First Nations' rights in protecting salmon, water and other resources when pushing forward industrial development. 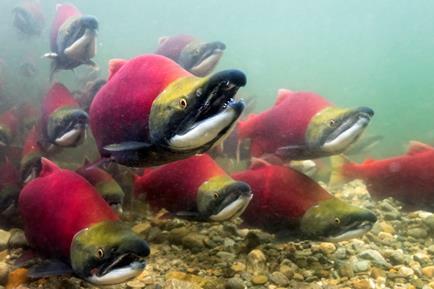 Canada’s Wild Salmon Policy: an assessment of conservation progress in British Columbia. A new study conducted by Simon Fraser University highlights the shortcomings of DFO's implemntation of the Wild Salmon Policy and monitoring of salmon streams as one of the contributing factors to dwindling salmon populations. 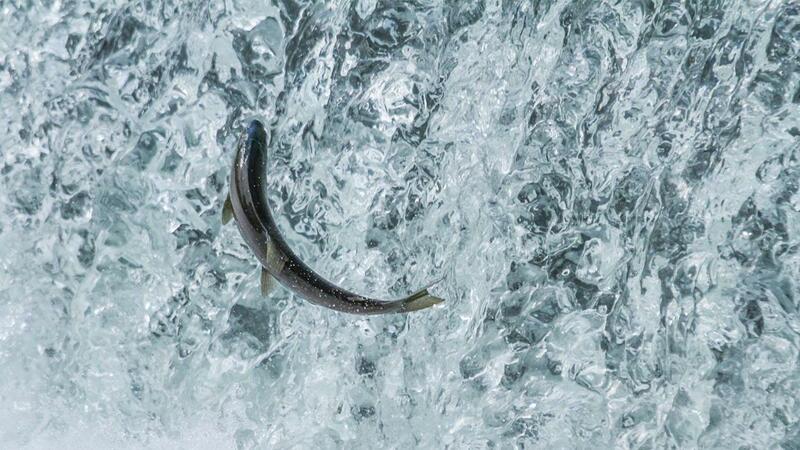 Since the mid-1980’s monitoring of salmon spawning streams in BC has plummeted by 70%. Because of this, data on existing salmon populations is insufficient, leading DFO to make poorly informed decisions about salmon harvesting and conservation. “42% of the Conservation Units that we assessed as Red (threatened) would have improved in status had the Canadian fishery been reduced,” the study concluded. UNIFOR Court Victory over RTA SO2 Emissions. One of the largest unions in Canada has won a major court victory regarding Rio Tinto Alcan’s increased sulphur dioxide (SO2) emissions. Rio Tinto operates a smelter, and holds a permit under the Environmental Management Act allowing it to discharge sulphur dioxide (SO2) into the air. In 2013, it was granted an amendment to the permit allowing it to increase the amount of SO2 discharged by 56%, up to 42 tonnes per day. UNIFOR appealed the approval of the permit to the Environmental Appeal Board. The Board rejected the appeal, noting that it didn’t fall under the Environmental Management Act provisions for appeal. However, a BC Court of Appeals judge found the EAB’s ruling to be unreasonable and has now allowed UNIFOR to move forward with it’s appeal to have the increased S02 emissions permit reversed. This is a big step in the fight to keep polluting companies accountable for their actions and force them to install technologies that would lessen the impact on an already stressed Kitimat air shed. To lean more about Kitimat’s struggle for a healthy air shed, visit Kitimat Terrace Clean Air Coalition’s Facebook page.